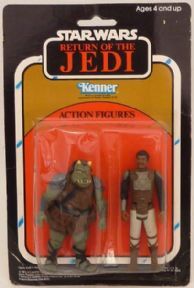 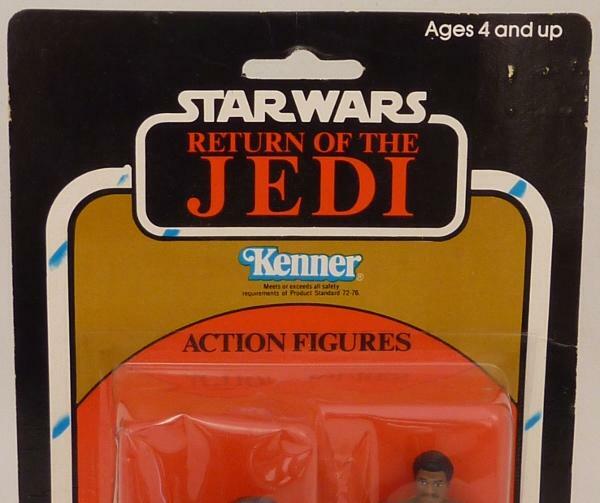 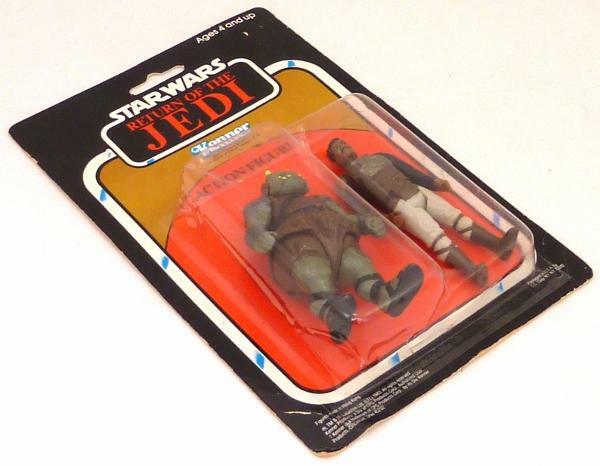 Original Return on the Jedi two pack containing Lando in Skiff Guard Disguise and Gamorrean Guard. 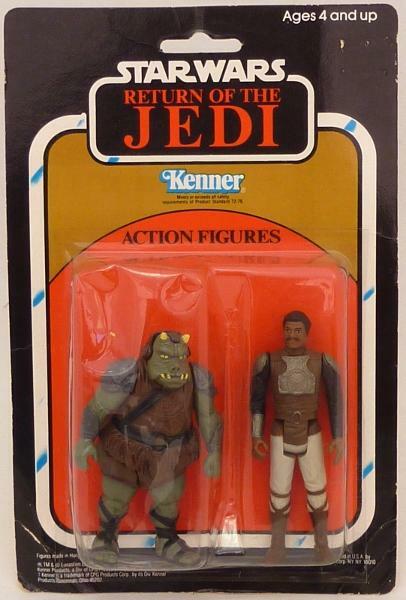 Figures do not include any weapons or accessories as is common with these two packs. 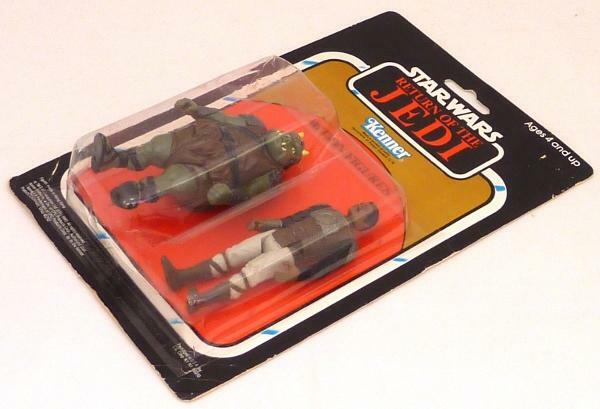 Bubble is fully sealed but as with most of these has some dents to the corners but no cracks. 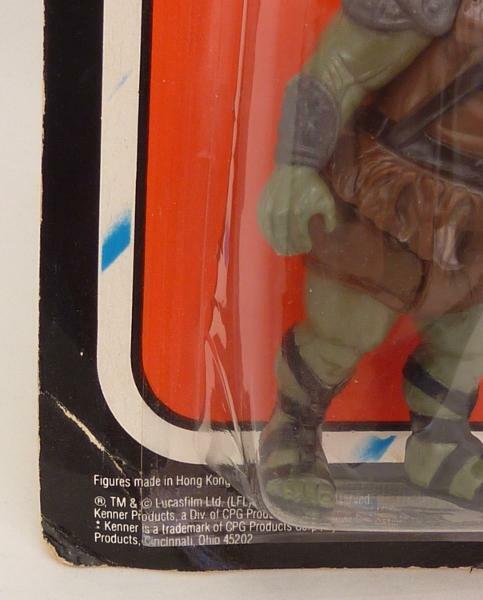 The backing card has creasing to the bottom corners, edgewear and damage from price sticker removal.